At work we each take a turn bringing in breakfast for our Friday meetings. My turn recently came around and I wanted to bring something good. I don't know about you but Winter makes me want some comfort food. I decided to try a breakfast casserole and found a quick and easy one on Pinterest. 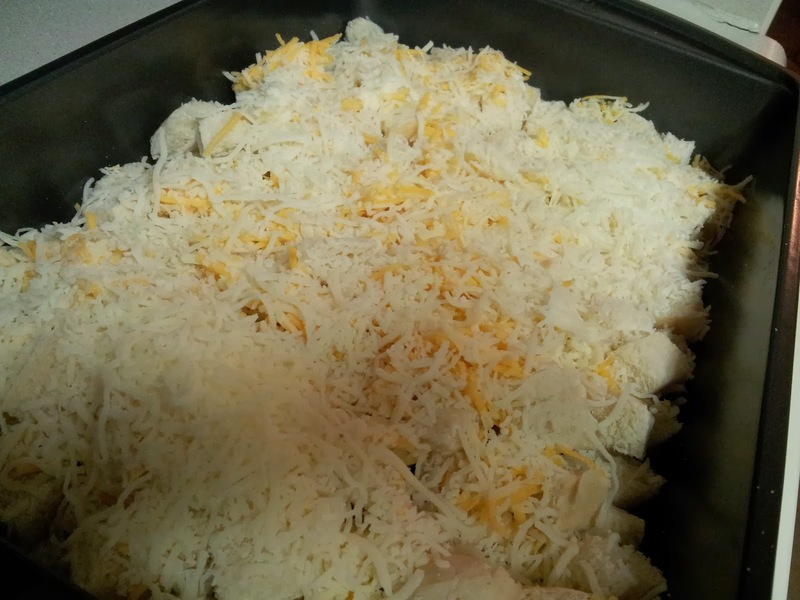 In a baking dish combine bread cubes and cheese. 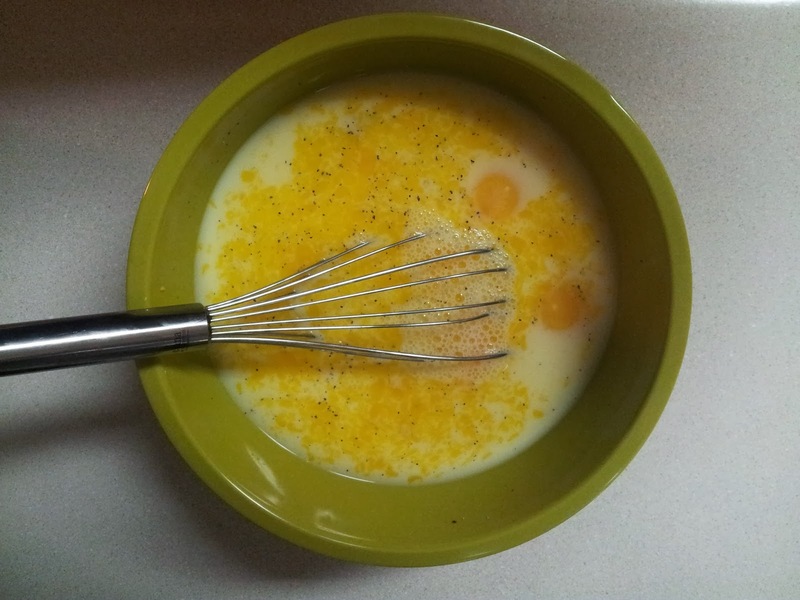 In a large bowl whisk eggs, milk, mustard, salt and pepper. Top with bacon and green onions. Bake uncovered at 350 for 50-55 minutes or until the center comes out clean. I made it the night before and popped it in the oven while I was getting ready so it would be nice and warm. A coworker of mine asked me for the recipe and later told me she tried it at home. Instead of using bread crumbs she tried it with hash browns and said it was delicious. I'll have to try that out next time!